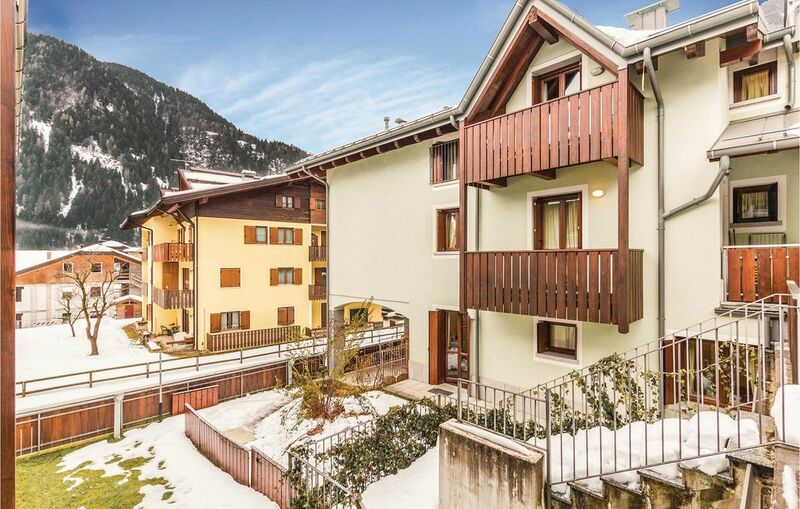 This two-room apartment with private garden is part of a residence located outside the characteristic village of Carisolo, in the Adamello Brenta Nature Park and just 15 km from Madonna di Campiglio, the pearl of the Dolomites. In the communal areas are available a dining area and TV, a wellness area with Turkish bath and relaxation area (upon payment, agreements to be taken on the spot). For cross-country skiing lovers at 450 m there is a track that connects Carisolo, Pinzolo, Giustino and Caderzone. In the residence are the apartments IDD216 - IDD224 and IDD312 - IDD314. The pictures are just examples.